Click here to support Bristol Bay and voice your concerns about the proposed Pebble Mine project! The U.S. Army Corps of Engineers has released its draft Environmental Impact Statement and is inviting the public to comment. 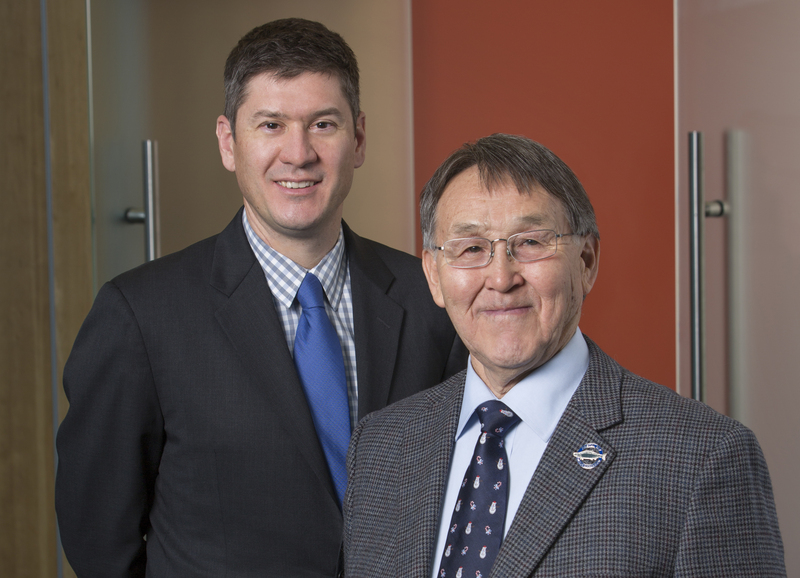 BBNC was formed as a direct result of the Alaska Native Claims Settlement Act. Signed into law in 1971, ANCSA resolved aboriginal land claims and promoted economic development for Alaska Native communities. Land title was transferred to 12 for-profit Alaska Native regional corporations and well over 200 local village corporations. BBNC’s portfolio of companies is diverse and strong, allowing us to return consistent distributions to our shareholders. We support responsible resource development, in both Bristol Bay and abroad. 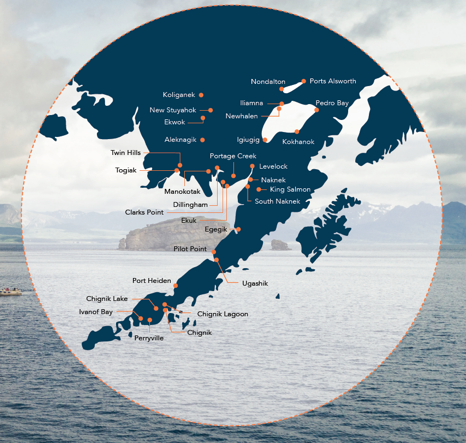 BBNC employs over 4,000 employees nationwide, with over 1,500 located in Alaska. As of 2018, over 200 of our employees were shareholder hires. BBNC is committed to enhancing the economic, social, and educational well-being of our 10,300 shareholders living in Alaska and the lower 48. They have spoken loudly and clearly in their opposition to Pebble Mine Learn more about our values and goals. BBNC serves 31 villages and has stewardship over roughly three million acres of subsurface and 116,000 acres of surface land across Bristol Bay, including in potential transportation corridors for Pebble Mine. Bristol Bay is home to the world’s largest wild sockeye salmon fishery. Alone, it accounts for nearly half the wild sockeye that is sold worldwide, tens of thousands of American jobs and over $1.2 billion in economic activity. It is also the ancestral home of BBNC’s shareholders and descendants, who depend on the fisheries for their economic livelihoods and subsistence way of life. Pebble Limited Partnership (PLP) holds hundreds of mining claims covering thousands of acres of State of Alaska owned lands. The claims include the Pebble deposit which includes large but low concentrations of gold, copper, and molybdenum (an element used to strengthen steel). PLP’s proposed Pebble mine has been the subject of intense debate in both Alaska and the lower 48 for over a decade. If fully developed, Pebble could be one of the largest open-pit mines in North America. Despite its potential value, four major international mining companies have invested in and later exited the project, one taking a $500 million loss in the process. Guided by our Native way of life and driven by our people, both those who came before and those who will follow, BBNC joins the vast majority of Bristol Bay residents in opposing the Pebble Mine. Since 2012, more than 2.5 million comments have asked the EPA to protect Bristol Bay from the potential risks posed by mining the Pebble deposit. 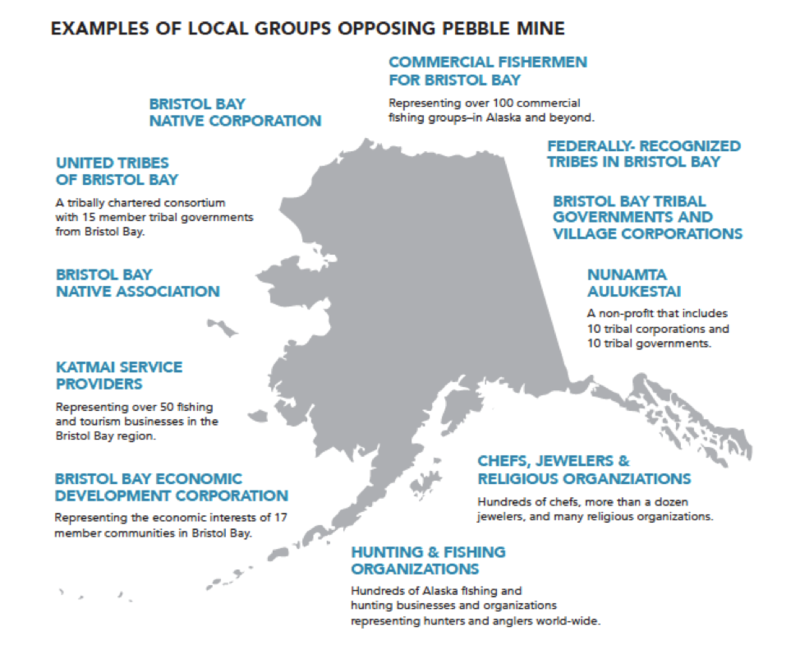 In fact, when polled, Alaskans have consistently voiced opposition to the development of Pebble Mine. These numbers are based on yearly tracking polls of registered voters in Alaska conducted on behalf of BBNC. The proposed mine has the potential to significantly harm the hydrologically interconnected lakes, rivers and wetlands around Bristol Bay where salmon return each year to spawn. Jeopardizing our fisheries means jeopardizing our livelihoods, and stands in stark contrast with our “Fish First” priority. At the request of Alaska Native tribes and other stakeholders, including BBNC, the Environmental Protection Agency (EPA) conducted what is commonly referred to as the Bristol Bay Watershed Assessment. The goal was to better understand the impacts this large-scale mine would have on the aquatic, economic, and cultural resources of Bristol Bay. In 2014, the three-year, science-based report concluded that Pebble Mine would have the “unacceptable adverse impacts” that the Clean Water Act seeks to prohibit. Due to these concerns, the EPA began the process of putting proactive restrictions on mining the Pebble deposit. BBNC is joined in opposition to this project by a host of other organizations. The coalition opposed to Pebble includes commercial fishermen, sport fish lodges and enthusiasts, non-profits and religious organizations. This opposition also includes thousands of Bristol Bay residents who worry about the impacts this mine will cause their communities, subsistence and way of life. Despite overwhelming evidence of the unacceptable risks posed by large-scale mining in Bristol Bay, PLP continues to push the project forward. In December of 2017, the company applied to the U.S. Army Corps of Engineers for a Clean Water Act “dredge and fill” permit. Yet, PLP has not applied for any other state or federal permits necessary for mine development. The Corps has targeted a final Clean Water Act permit decision in mid-2020 and has released its over 1,500-page Draft Environmental Impact Statement (EIS) detailing the impacts and potential alternatives of Pebble Mine. 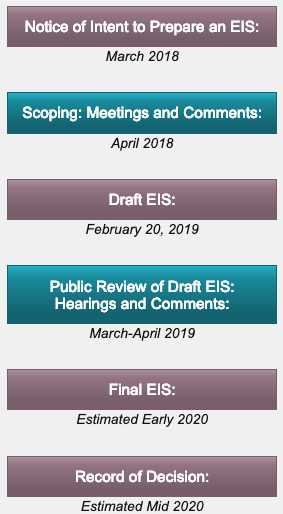 A 90-day comment period has commenced and is scheduled to last through May; BBNC and others have asked for a minimum of 270 days to comment on the DEIS. This is an aggressive timeline particularly for a mine constructed in a sensitive ecosystem and that will require a unique power source, transportation infrastructure, wastewater treatment, and perpetual waste storage; notably, PLP has yet to finalize plans for most of these major components, nor has it conducted an economic analysis to determine the financial feasibility of the project. Despite its most recent attempts at selling the mine to the general public, PLP has yet to answer basic questions about its plans for Pebble Mine. PLP does not have BBNC’s permission to trespass our subsurface lands or utilize our subsurface resources for the construction of a transportation corridor anywhere around Lake Iliamna. In addition, Pedro Bay Corporation, which owns the surface lands on the eastside of Lake Iliamna that would be needed for any northern transportation corridor for the mine, has reiterated its opposition to Pebble Mine.